North Tower village and P.O. With the completion of what at the time was the largest bridge in the world, High Bridge began to draw tourists. Shortly after its opening a park was established as the community of High Bridge. 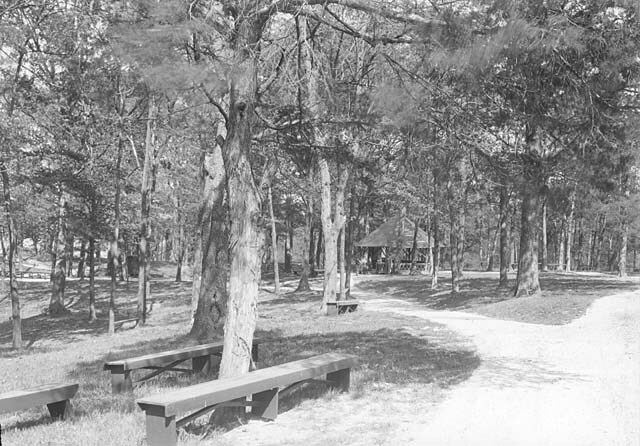 The park had picnic grounds, a restaurant, a dancing pavilion and riding stables and became a popular place to hold cultural and religious meetings. Speakers such as politician William Jennings Bryan and evangelists Billy Sunday and Sam Jones spoke there. Trainloads of people from Cincinnati, Lexington and other northern points disembarked at High Bridge for recreation, sightseeing and dancing. 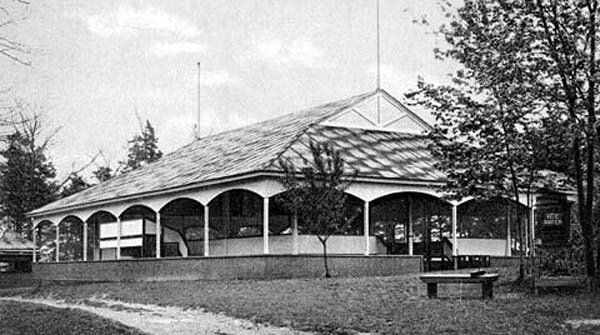 The High Bridge Park pavilion was constructed in the victorian style of many of the resorts of the time. The park also included a gazeebo and park benches. 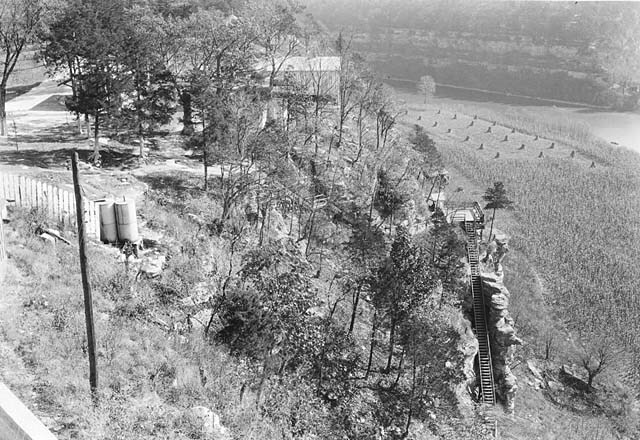 A stairway down the cliff was also constructed. The train station that operated near the park got its name, The Towers, from the huge limestone portals that were built in preparation for the suspension bridge. The village near the bridge was called North Tower and a post office opened in 1877. By 1887, the fame of the bridge had caught up to the town, and it was renamed High Bridge.